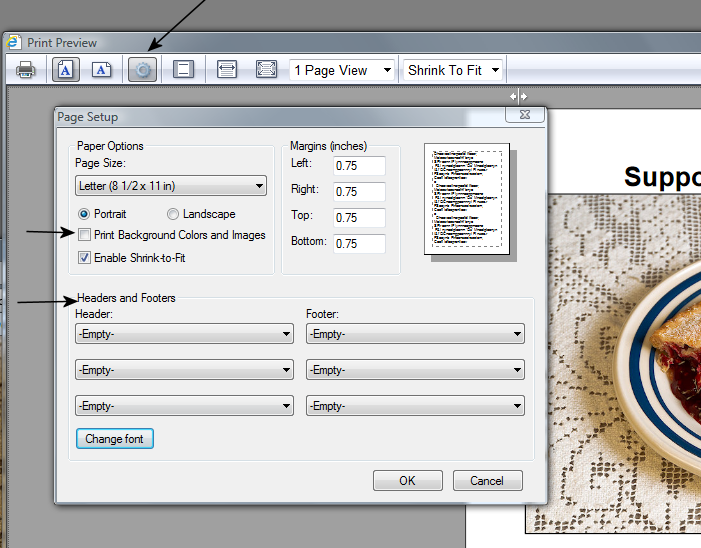 When you are ready to print your poster, click the file tab on your browser and select "Print Preview". 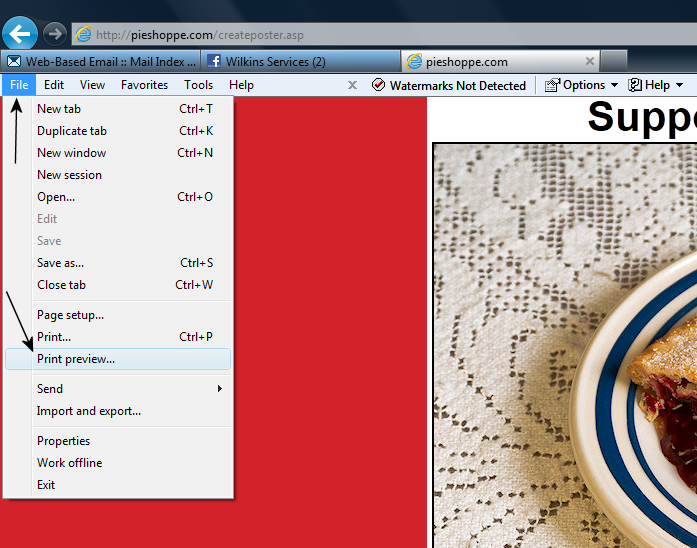 Click the Page Setup icon at the top of the page to display the Page Setup dialog box, as shown at left. Make sure the "Print Background Colors and Images" box in NOT checked. Adjust all of the headers and footers choices to read "Empty" as shown. This should eliminate the extra text, such as dates, page URLs or page numbers from being printed at the top or bottom of your poster page.